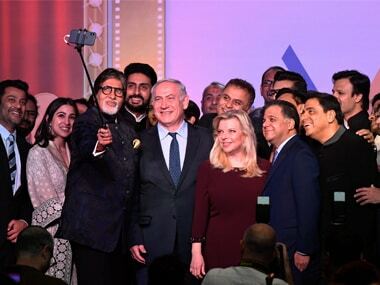 Mumbai: Recreating the viral 'Oscar selfie', which featured several Hollywood stars in one picture, Israeli prime minister Benjamin Netanyahu on Thursday posed with Bollywood superstars as a sign of the "great friendship" between India and Israel. Netanyahu was at "Shalom Bollywood" event in Mumbai, where top stars from the industry were present, including Amitabh Bachchan, Aishwarya Rai, Abhishek Bachchan, and filmmaker Karan Johar. "I want everyone in India and Israel to know about the phenomenal friendship between our countries. So I've an idea. One of the most viral pictures took place at the Oscars where several celebrities took a selfie together," he said. "So I want all the Bollywood actors, directors, producers present here to join me right now for a selfie so millions of people can see the great friendship between the two countries," Netanyahu added. Posing for the selfie were Bollywood guests like Bachchan and his family, Johar, Randhir Kapoor, Vivek Oberoi, Sara Ali Khan, filmmaker Imtiaz Ali, Madhur Bhandarkar, Nikkhil Advani, Abhishek Kapoor, Subhash Ghai, lyricist Prasoon Joshi among others. Aishwarya along with producer Ronnie Screwvala welcomed the prime minister and the first lady, Sara Netanyahu. 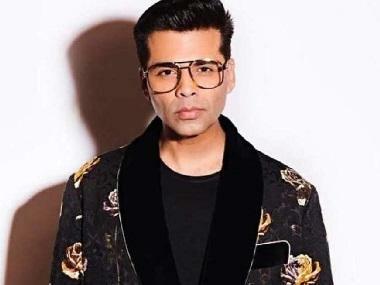 Karan Johar's production Drive became the first Bollywood film to be shot in Israel for which Johar along with Dharma Productions CEO Apoorva Mehta were felicitated by Netanyahu. At the event, Bachchan gave the keynote address where he spoke about how, from a time when acting in films was looked down upon, today Bollywood has become a parallel culture. Bachchan, 75, said when "we as a community watch films in a darkened hall, we never ask the caste or creed, or colour or religion of the person sitting next to us. We enjoy the same film, laugh at the same joke, cry at the same emotion. In a world where we see humanity disintegrating in front of us, cinema is perhaps (among) the few yet prominent entities that bring people together." Netanyahu in his address quipped that Bachchan has "30 million more followers than me on Twitter" and stressed how if India and Israel come together, "magic will happen." Also present at the event was Maharashtra chief minister Devendra Fadnavis. Choreographer Terence Lewis along with his group brought the curtain down with a dance medley.